I hope you are all enjoying your summer vacation. While we all have a few weeks left, I will be sharing updates throughout the month as we gear up for the 2017-18 school year. 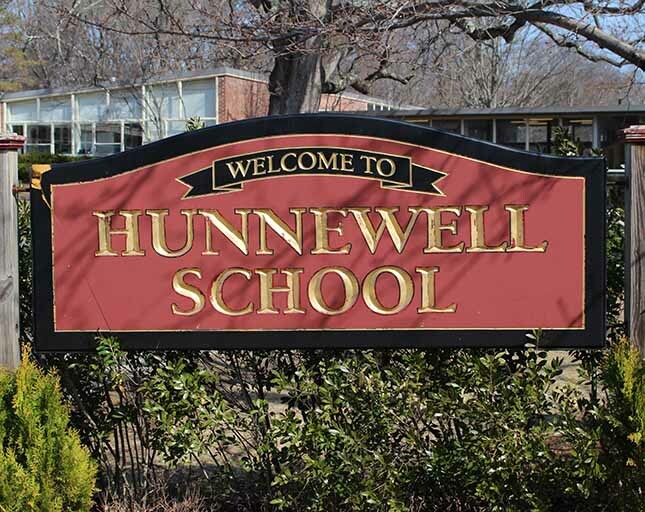 My first bit of news will have a big impact on arrival and dismissal at Hunnewell. The Wellesley Free Library Parking Lot cannot be used as an ancillary drop-off or pick-up area. It is CLOSED to Hunnewell traffic. While our former drop-off guidelines had indicated that parents could park in the lot until 9:00am, this is no longer the case and in fact, we are never supposed to be using that lot in the afternoon. We simply had too many people using the lot and the library employees and customers were not able to find parking. Unfortunately, I also received several complaints about unsafe parking and driving practices too. The Wellesley Public Library is a good neighbor and in keeping with our C.A.R.E. values, we need to honor that the Wellesley Free Library Parking Lot is ONLY for employees and customers. Please carefully read and follow the Hunnewell Drop-off and Pick-up Rules. These rules are intended to keep everyone safe during these heavy traffic times. The curb between the two circular driveways IS THE ONLY DESIGNATED LIVE DROPOFF ZONE! Make sure your child is ready to exit the vehicle promptly. If you need to park your car, see below. Pull ahead as far as you can to make room for cars in line behind you. Pull your car completely to the curb before discharging passengers. Drivers MAY NOT get out of their car for any reason; this holds up traffic flow. Children exit from the curb-side of the car ONLY. Pulling around a car that is unloading students is prohibited! The curbs between the two circular driveway entrances are a NO STOPPING ZONE from 2:45-3:30pm. This is a school bus zone ONLY. Sitting in your car and waiting for your child to come out of school is NOT OKAY. The bus needs clear access to this area and when it has to maneuver around idling or parked cars, it creates a safety hazard and holds up traffic flow behind the bus. Remember, you can help decrease traffic congestion at school by forming carpools and/or walking with neighbors. Parents with fourth and fifth graders are encouraged to drop-off and pick-up their children at a pre-designated meeting point off Cameron Street. This can promote independence and reduce congestion on Cameron Street. The library parking lot is off-limits at ALL TIMES for drop-off at and pick-up from Hunnewell. The circular driveway is closed from 8:15AM – 3:15PM. Crosswalks and fire hydrants must be kept clear at ALL TIMES. Cameron Street: Park along the playground fence or beyond the circular driveway area. Parking is prohibited on the opposite side of the street to allow for emergency vehicle passage. Parking is also not allowed in the private lots across from Hunnewell. You may be ticketed. Cameron Street Town Lot: Each Hunnewell family receives two parking passes allowing up to 30 minutes of parking in this lot. These are for the hourly spaces only. Display the pass on your front dashboard. Located beyond the school on the right. Hampden Street: north side only (closest to Hunnewell). Brook Street: east side only (between Amherst Road and the Methodist church). Avoid parking too close to the crosswalk as this makes it difficult for children to see and be seen.